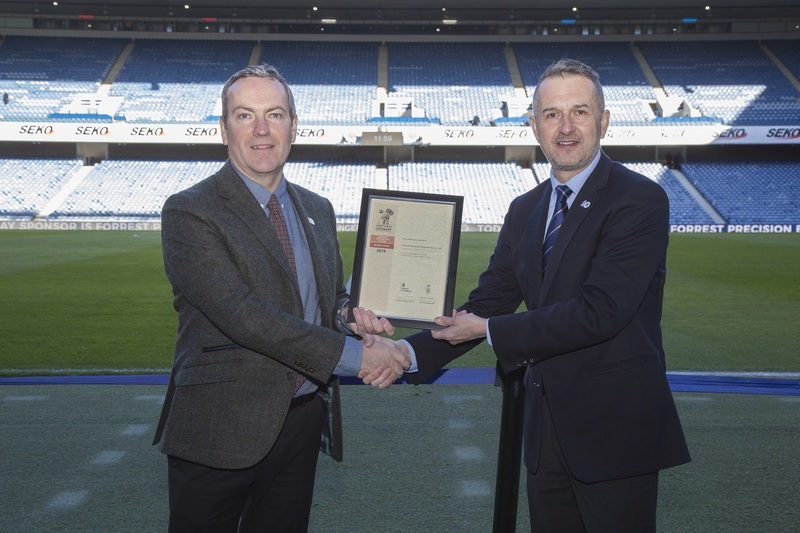 The Rangers Charity Foundation presented Official Matchday Sponsors, Forrest Precision Engineering, with the Bronze Award for the MOD’s Employers Recognition Scheme last Saturday (2 February 2019), prior to the St Mirren game at Ibrox. To help mark the occasion, Scott Forrest, Managing Director of Forrest Precision Engineering, was joined by Connal Cochrane, Rangers Charity Foundation Director, Lieutenant Commander Gary Farmer from the Royal Navy and Charlie Cook, Regional Employer Engagement Director, Lowland Reserve Forces and Cadets’ Association. 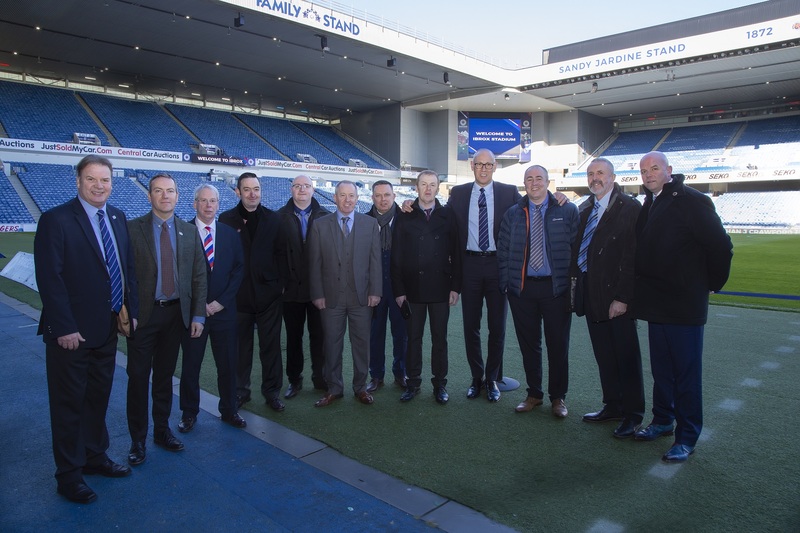 The award recognises the early contribution of Forrest Precision Engineering, which signed up to the Armed Forces Covenant following a special business breakfast event hosted at Ibrox. The success of the event, which was held in October for companies that were keen to learn more about the Scheme, is already paying great dividends, with around 20 businesses having signed up to the Armed Forces Covenant for the first time. Connal Cochrane, Rangers Charity Foundation Director, said: “It was a real honour to be asked to present the Bronze Award to Scott Forrest on Saturday, and I would like to congratulate Forrest Precision Engineering on their efforts and pledge to support the Armed Forces Family via the Employer Recognition Scheme. Organisations which sign the Armed Forces Covenant aim to support the forces through service, policies and projects. The Club and Foundation have a long tradition of supporting the armed services and veterans via a range of initiatives, and this has previously earned them an Armed Forces Covenant Employer Recognition Scheme Silver Award. Charlie Cook, Regional Employer Engagement Director, Lowland Reserve Forces and Cadets’ Association, said: “I am very pleased that Rangers Football Club and Charity Foundation used their prominent position in the community to invite organisations and companies associated with them to attend our Armed Forces Covenant Breakfast held at Ibrox stadium. Businesses where enlightened on how to follow Rangers’ lead by partnering with Defence at no financial cost. “Forrest Precision Eng Ltd was one of the companies who got in touch through the event and their Managing Director Scott Forrest is a very worthy recipient of the MOD Bronze Employer Recognition Scheme award. For more information about the MOD’s Employer Recognition Scheme, visit: https://www.gov.uk/government/publications/defence-employer-recognition-scheme.